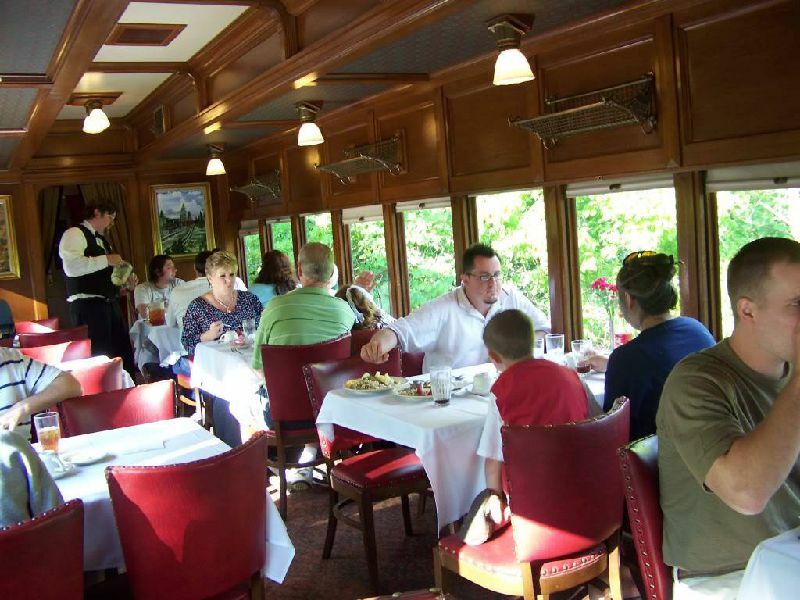 Enjoy the excitement of riding a 1927 Dining Car while travelling on the old M&NA route to Junction, Arkansas and return. The Chicken Salad and Egg Salad are served on a bed of lettuce surrounded by fresh fruit, and they are served with crackers and rolls. The Beef Stroganoff is served over noodles. The Hot Deli Sandwich is Ham, Turkey,and Swiss cheese on a croissant, and comes with lettuce and tomato on it with condiments served on the side. Please click Adult Lunch Train first then make your selections. Then click "Book Now" button which takes you to the order review page. Now click "Make Another Booking" button for the Children in your group. After making selections for the Children's Menu Choices and double checking the matching date click "Book Now" button. You are now back on the review booking page. Enter contact details then click "Book Now" button for checkout. If you have an infant or a toddler in your party that you are not purchasing a meal for then they can ride for free. If you have any questions about booking or need help then feel free to call us at 479 253 9623. Pending Supplier Emails are sent out until we reach our minimum number of riders. Once we reach our minimum, then Confirmation Emails will be sent out. If we do not reach our minimum then we will issue refunds for the full amount paid. Online Tickets sales cut off an hour before run, but you may still book by phone if we have availability. Also,if any session is unavailable then you may call us to check for additional availability. 479 253 9623 to reserve.